Earlier this year we made a small campaign to have Nintendo Power fans vote for Nester to be in Smash Bros. We’re less than a week away from the deadline! 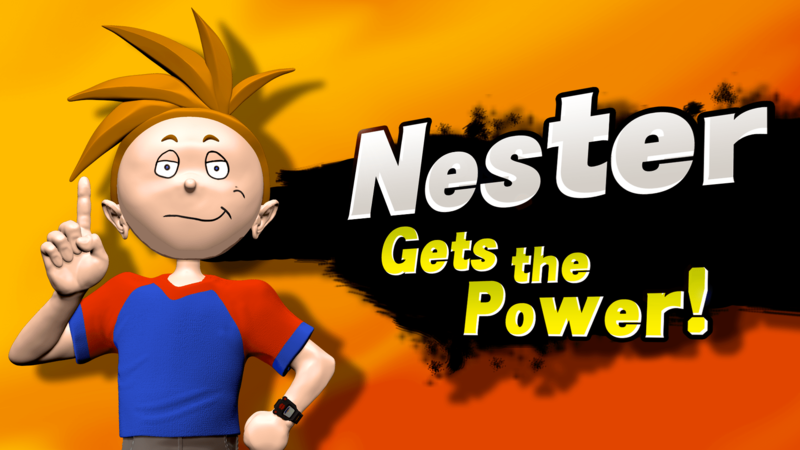 So, for this final week, we encourage all Nintendo fans who grew up with Nintendo Power, or would like to have grown up with Nintendo Power, to vote for Nester in the Smash Bros. Fighter Ballot! So, before you decide to vote for the Amazon from Pro Wrestling or popular 3rd party characters like Bubsy or Big the Cat, let’s bring a little Nintendo Power representation into Smash! Click here to vote! 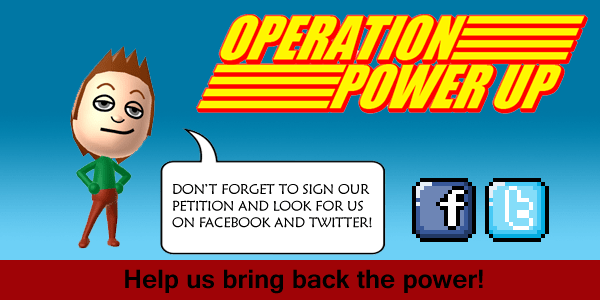 For those new to Operation: Power Up, we’re a group of dedicated fans persuading Nintendo of America to bring back Nintendo Power as a digital publication and/or a website. With fan publications such as Pure Nintendo and Nintendo Force, there’s still a market for a dedicated Nintendo publication. Our mission is simple: we want to get back the Power. Nintendo Power! We're a group dedicated on officially bringing back Nintendo Power as a new publication and/or as a new community.